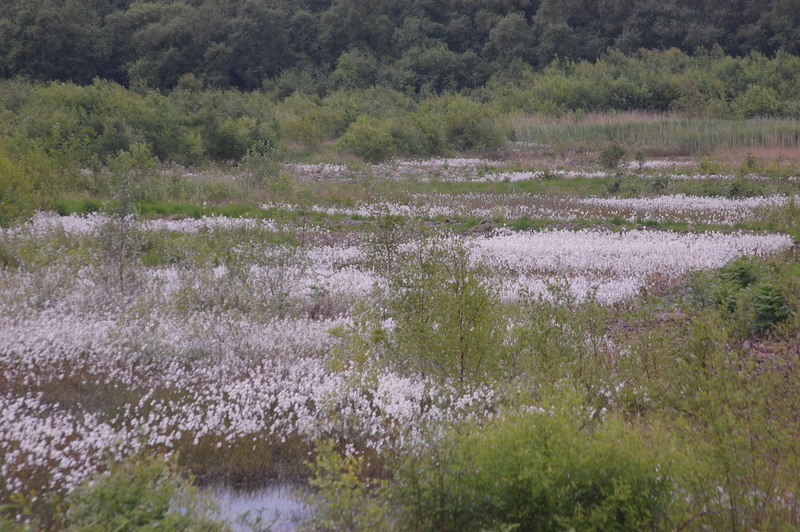 The Rangers in conjunction with Natural England as part of a wildlife stewardship scheme have been successfully implementing a program of re-wetting of Risley Moss nature reserve which is an improving Site of Special Scientific Intrest (SSSI) and international SAC site. However this work has been put in jeopardy by damage to one of the dams on the Mossland and tampering of several of the elbow-joint valves which help to hold water on the Mossland. However this wanton vandalism has allowed a significant loss of the water being conserved for the re-wetting project. 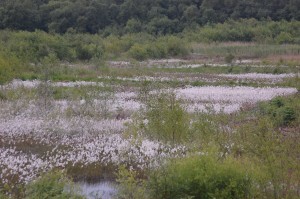 On top of this loss of water is the potential damage caused to the wildlife on the reserve, such as the nesting wildfowl, which are at a crucial point in their year. The police have been and are involved and are investigating this damage through their wildlife crime unit. Just had a quick visit to the moss on the bike with my lad, sitting at the far end of the footpath by pond 2 watched a Red Kite soaring high in the sky above us, first red kite twitch for me in England and right on our doorstep, Brilliant. Added to that hobby, buzzard and kestrel over the moss from the observation tower, and the summer migrants, blackcap, chiffchaff and swift and the residents reed bunting all being great spots. There were also lots of large red damsels first on pond 1 but also in places all around the woodland area, loads to see on a day for a beautiful stroll. Despite the cold wet April weather, the woodland is full of singing birds, including all of the nesting summer visitors. However, they are difficult to see because they are often hidden by the leaves on the trees. It is well worth learning their songs and calls because you can identify up to 20 species without actually seeing any! 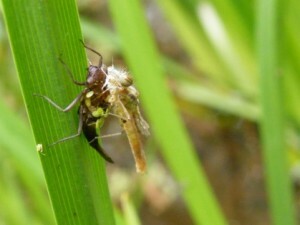 The first butterflies and damsel / dragonflies are now appearing. Most of the early butterflies are those that over-wintered as adults such as the Peacock, Comma, Small Tortoiseshell and Brimstone. 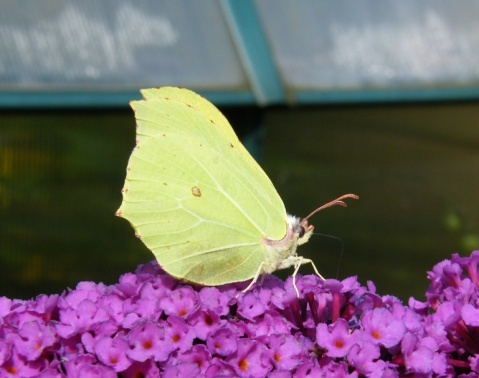 The bright yellow male Brimstone is particularly noticeable at this time of year. All of these over-wintering species are hoping to mate, after which they will soon die. However, their offspring will appear in late July and August. 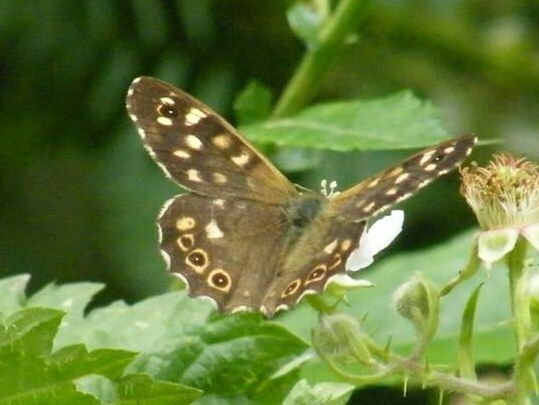 Already, you can see some butterfly species flying that over-wintered as pupae, such as the Speckled Wood. This species has very obvious pale yellow spots on its inner wings. It has multiple broods and can be seen throughout the summer, often seen in sunny spots in the woodland, near flowering blackberries. 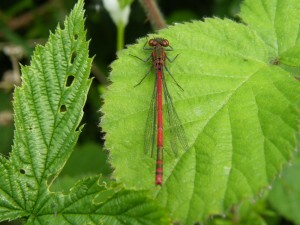 The first damselfly to appear is the Large Red Damselfly. It breeds prolifically in the pond near the Visitor Centre and can often be seen perched on surrounding vegetation. If you look very carefully, you may even see one emerging from its larva on the reeds in the pond. 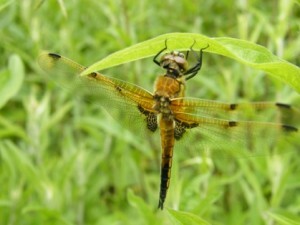 Dragonflies will start to appear in early June, so look out for them. The earliest is likely to be the Four-spot Chaser.